LEED — Leadership in Energy and Environmental Design — is a rating system by USGBC that evaluates how environmentally-friendly buildings are. The award honors communities that have set goals for environmental sustainability and then met them. It tracks energy, water, waste, transportation and human experience (education, prosperity, equitability and health and safety) before awarding certification. The County’s Community Energy Plan (CEP), adopted in 2013, established a goal of reducing greenhouse gas emissions 75 percent by 2050. 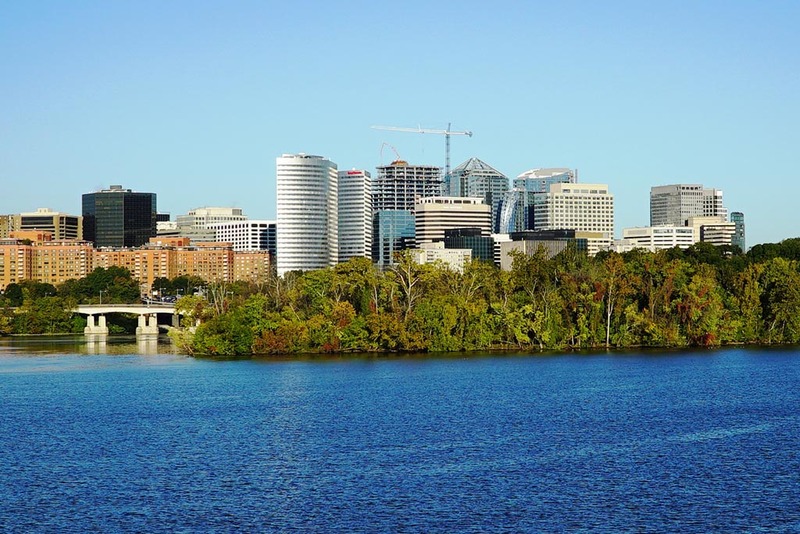 The CEP is an element of Arlington’s Comprehensive Plan, which sets forth the broad goals and policies of a sustainable community over the next 30 to 40 years. Arlington’s green building policies support the plan’s goals by encouraging the construction of buildings that are energy and water efficient while providing healthy indoor environments. Most recently, the County became the first locality in Virginia to approve an ordinance allowing a Commercial-Property Assessed Clean Energy (C-PACE) program – a public-private partnership to provide affordable, long-term financing for projects to improve the energy or water efficiency of commercial buildings in the County.